BN 12584 sits on a maintenance of way train on a spur at Stanwood WA on a dark Saturday. 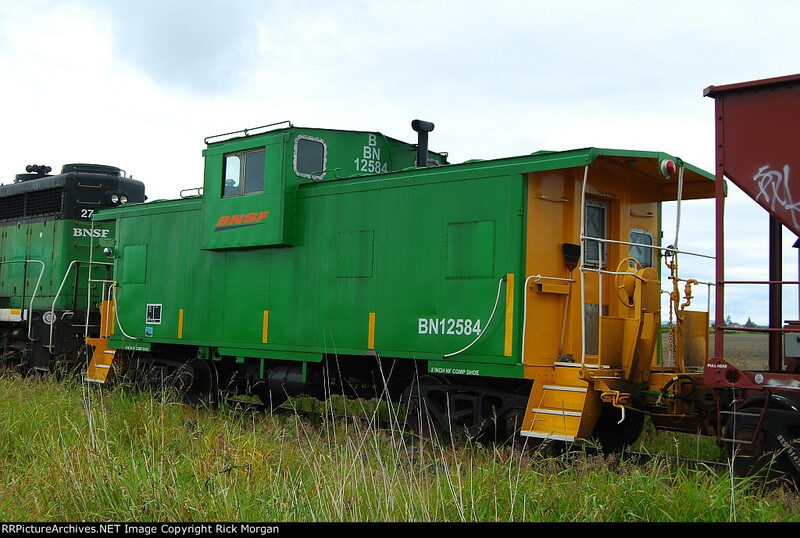 It's the former BN 12279 (PACAR, 1979). The sticker under the data block says it was refurbished at the Interbay Car Shop.